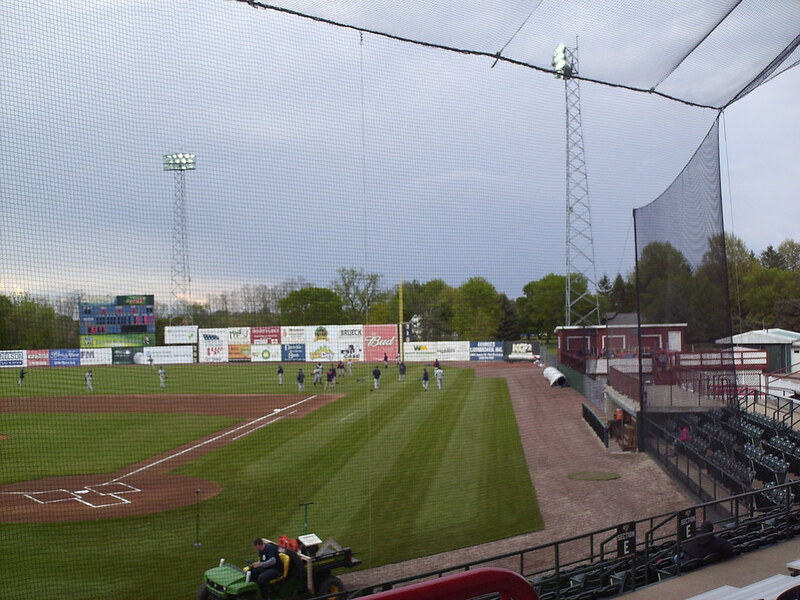 The view from behind home plate at Community Field. 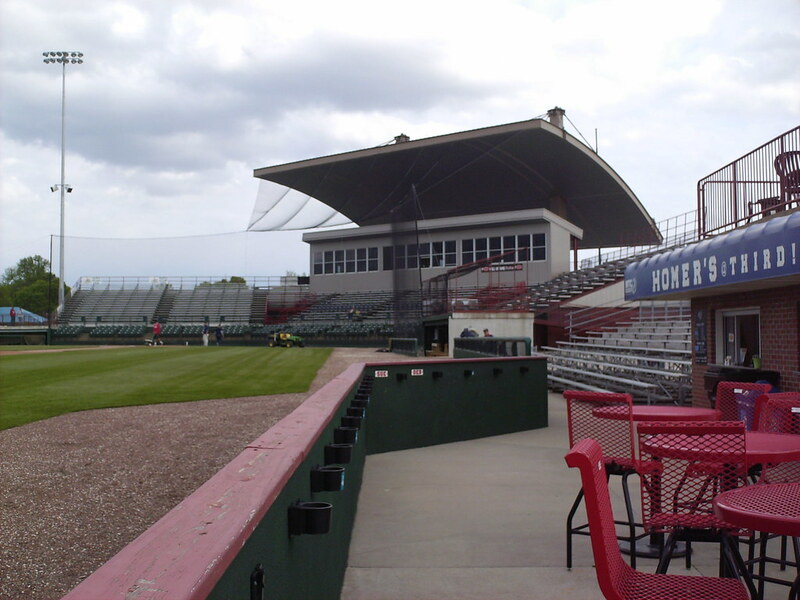 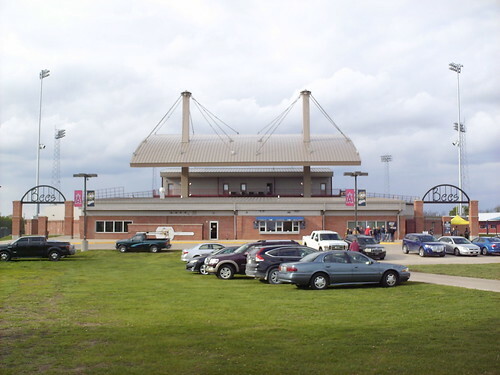 The grandstand at Community Field, as seen from the left field corner. 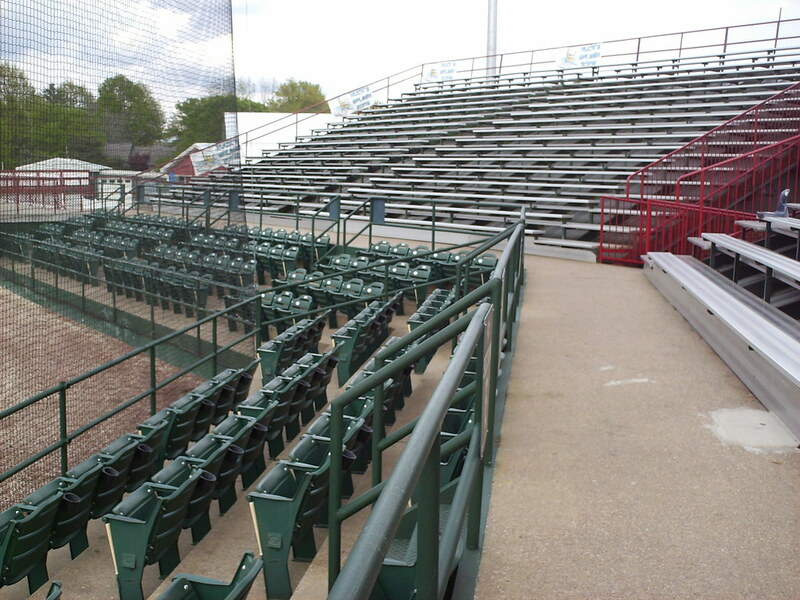 The grandstand features four rows of stadium seats, and the rest of the seating is aluminum bleachers. 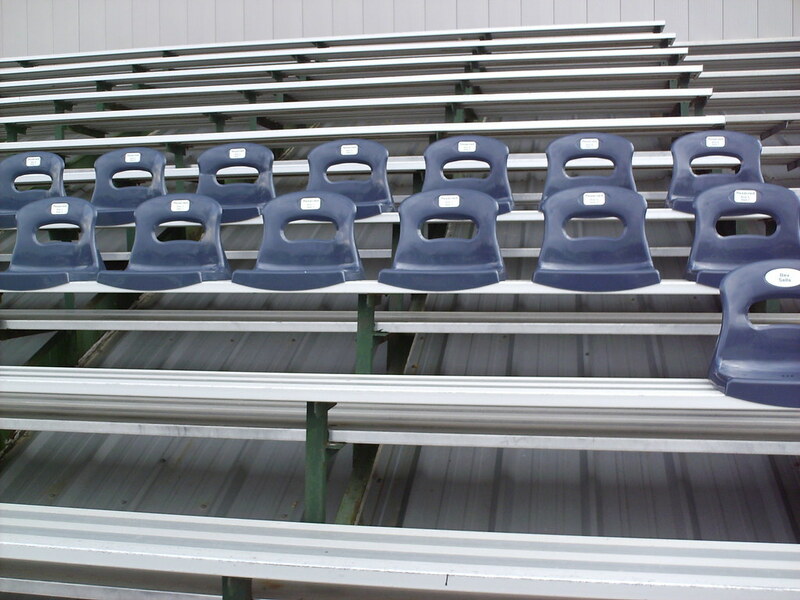 Season ticket holders have molded plastic seats attached to the bleachers for added comfort. 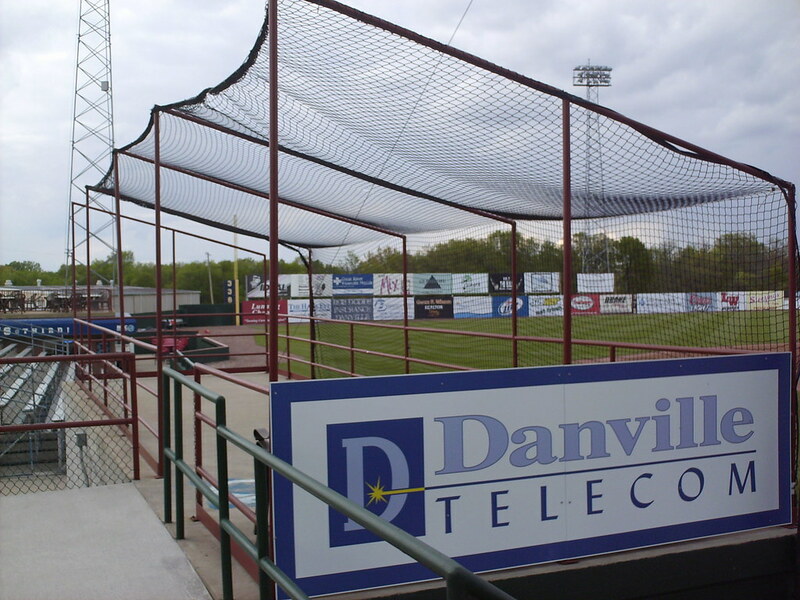 A screened in area on top of the dugout acts as a handicap seating area. 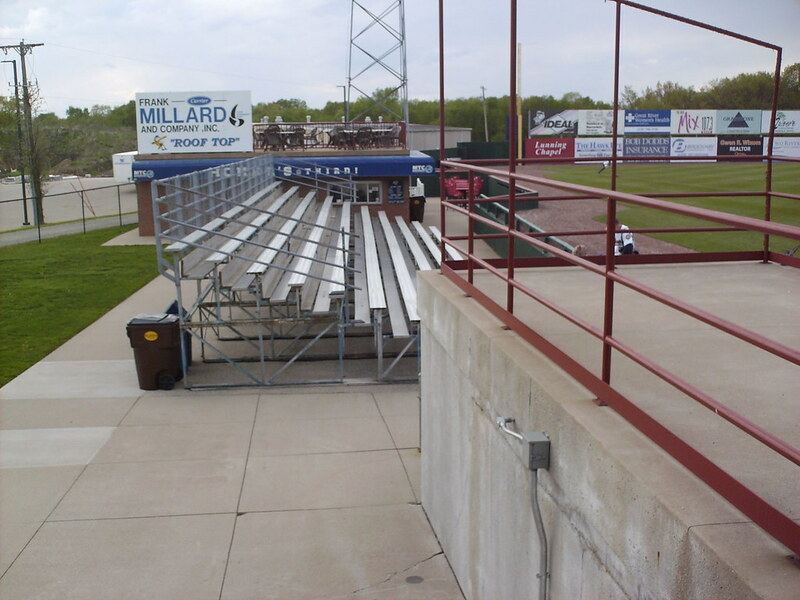 A separate bleacher section sits next to the main grandstand along the third base line. 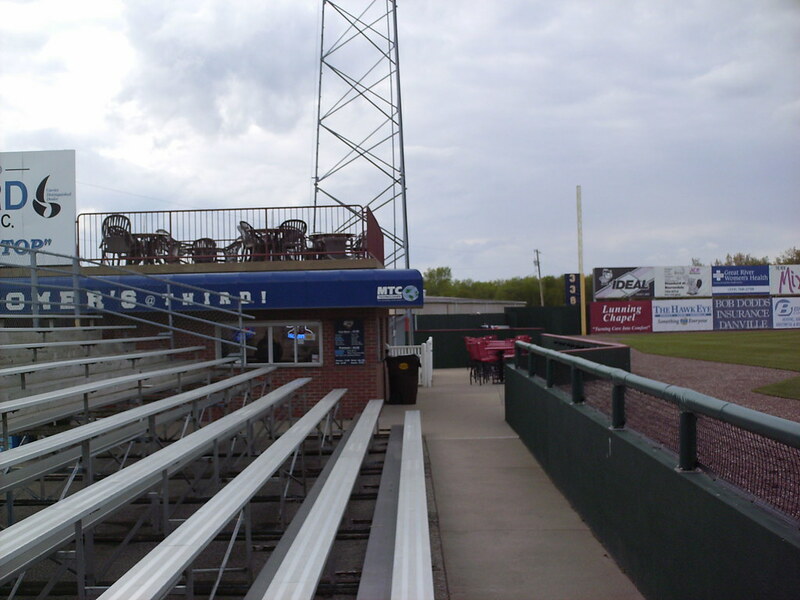 The concession stand next to the third base bleachers features a unique rooftop seating area. 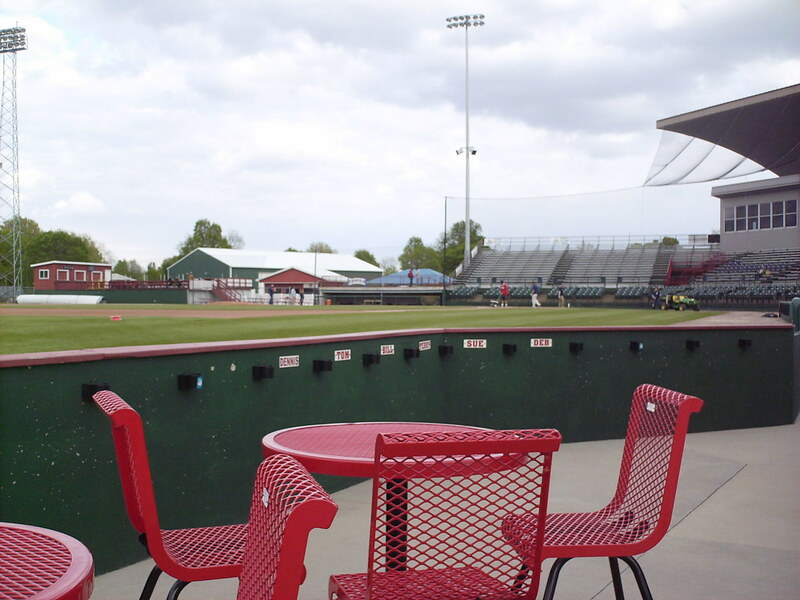 The Bees are a community owned team, and local fans even have their own designated drink rail spots. 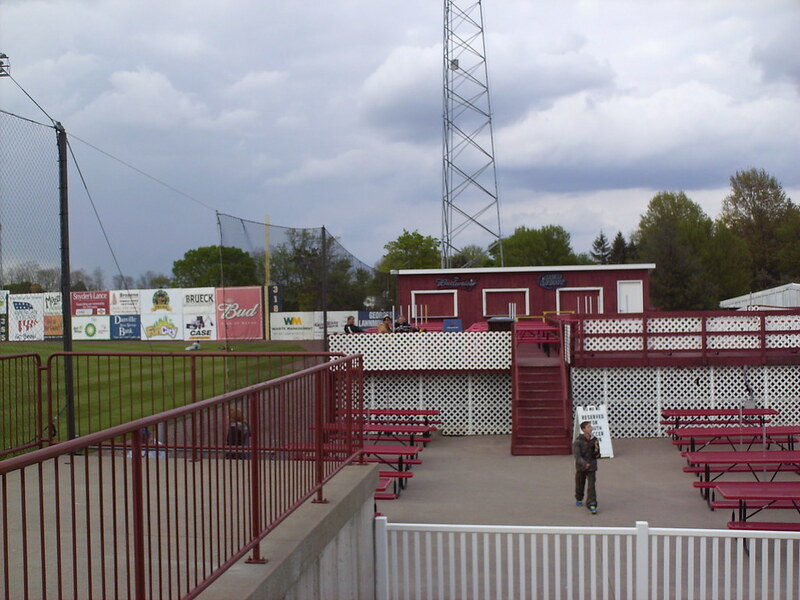 A party deck and picnic table seating in the right field corner of Community Field. 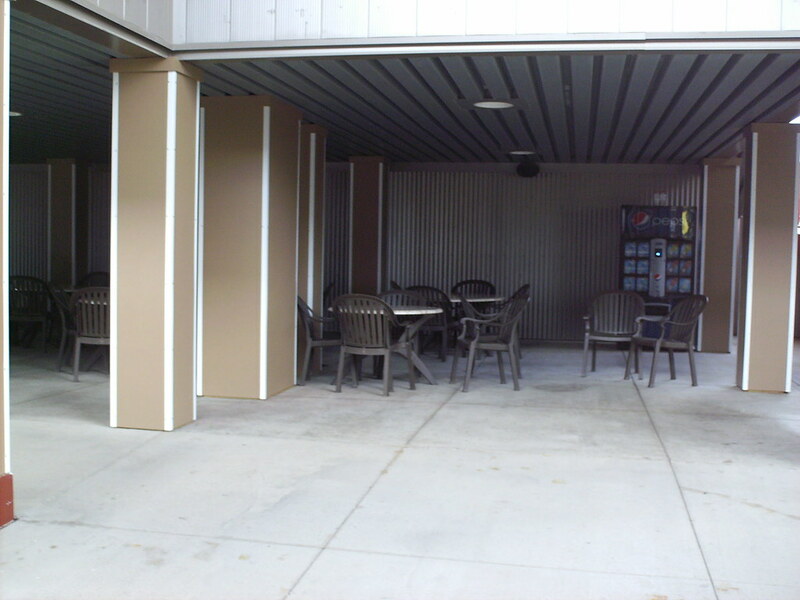 The area of the concourse underneath the main grandstand features a shaded seating area for fans to gather. 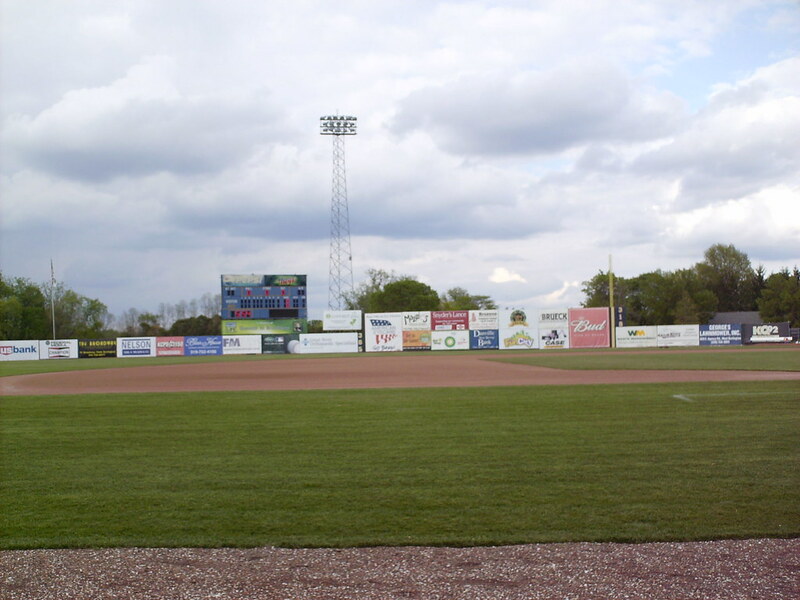 Banners on the concourse celebrate the Bees Midwest League titles. 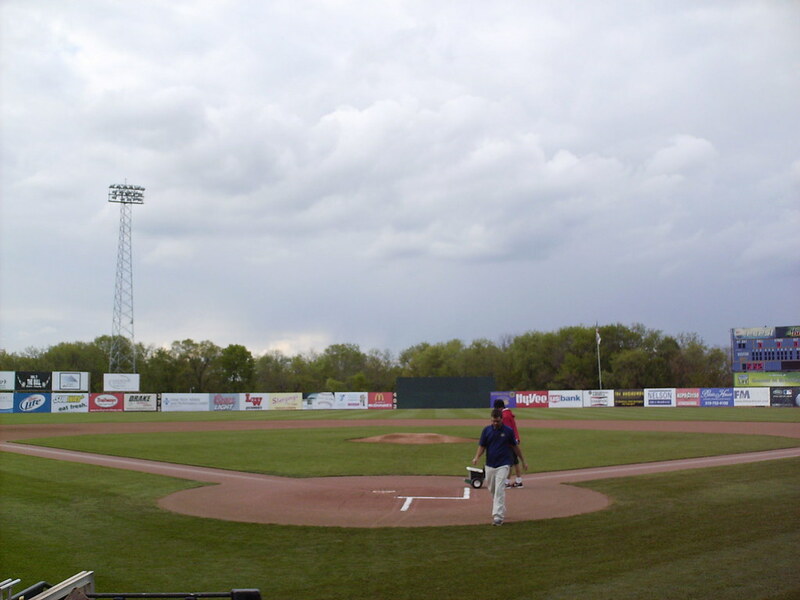 The playing field features a wide stretch of foul territory down each base line. 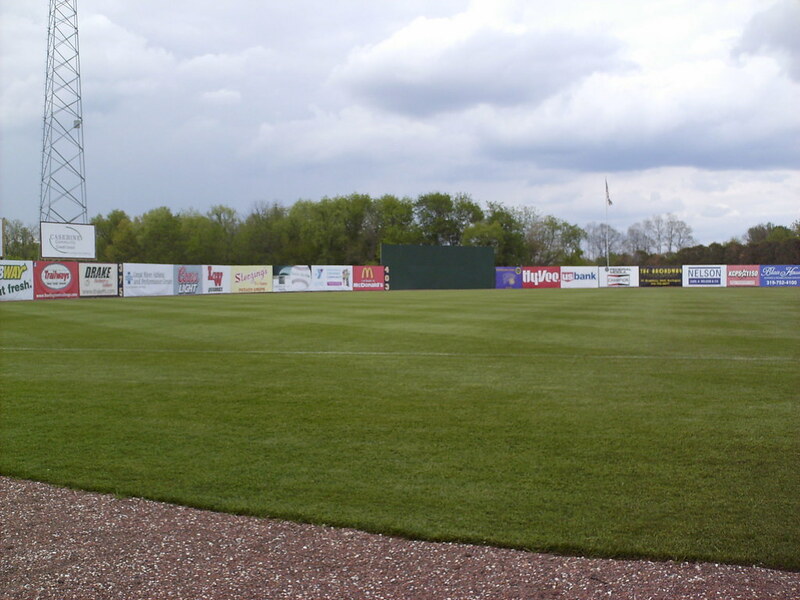 The mostly uniform outfield wall at Community Field. 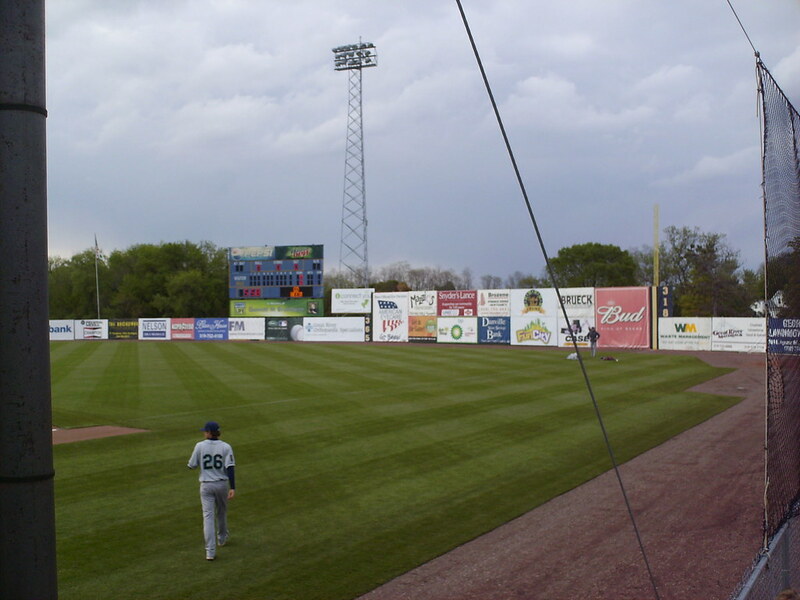 The outfield wall is only 318 feet from home plate, so the fence is taller from the scoreboard to the right field foul pole. 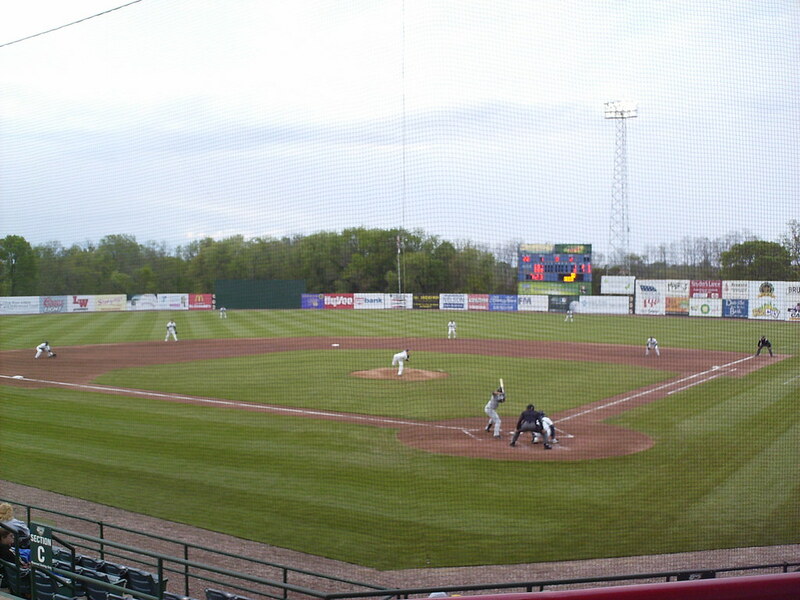 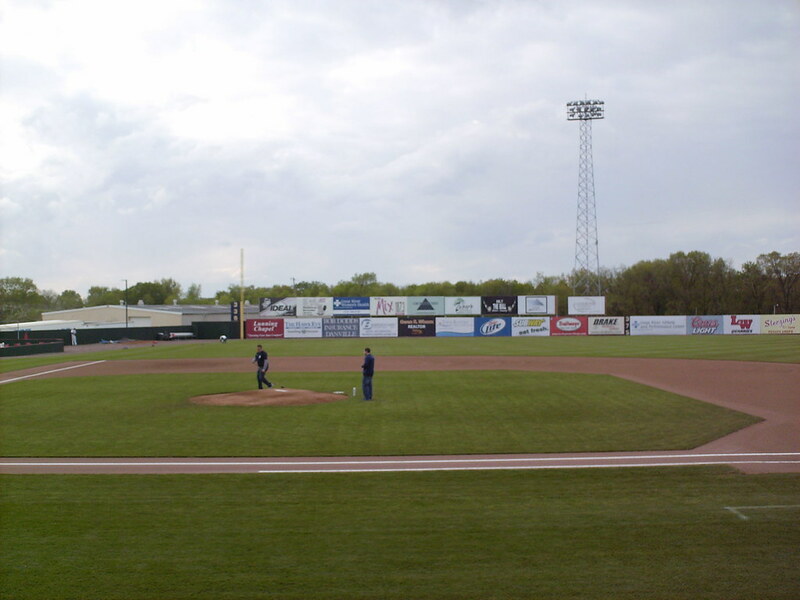 The Burlington Bees on the field during a game at Community Field.